This indicator operates based on the Parabolic SAR indicator. The free initial version has been analyzed and the EA algorithm has been improved. The EA functionality has been expanded. Features better flexibility and efficiency, better monitoring of open positions. Works on both 4 and 5 digits brokers. The EA does not use martingale, grid or arbitrage. 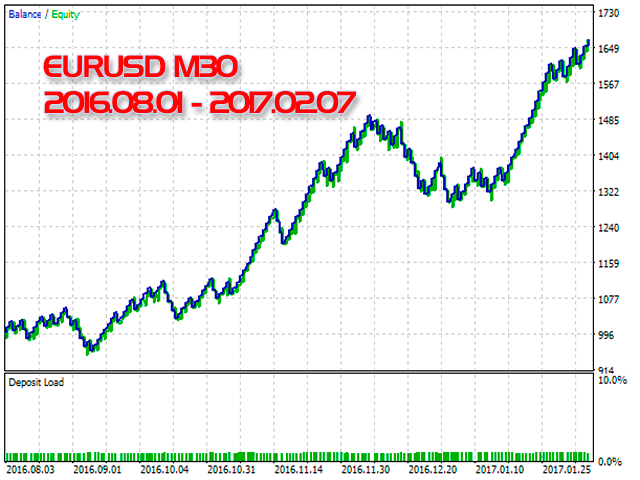 The best results were achieved on EURUSD with M30-H1 timeframe, but can also work well on other pairs with proper settings. MM - Money Management (Free Margin, Balance,Loss Free Margin, Loss Balance, Constant Lot). 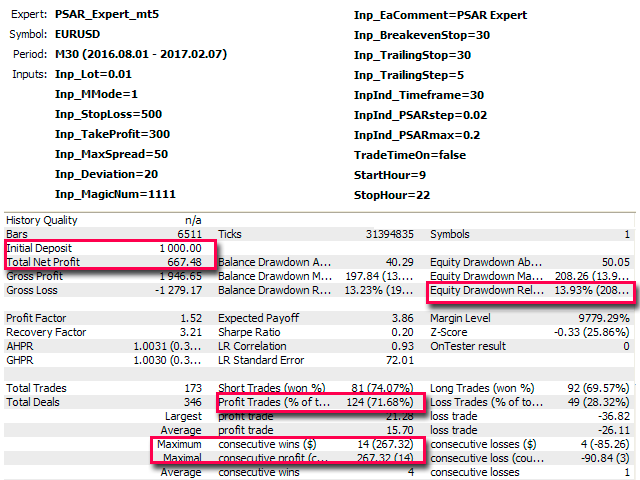 Step PSAR - standard parameter of Parabolic SAR. The increment of speed of the indicator. Maximum PSAR - standard parameter of Parabolic SAR. Maximum rate of the speed of convergence of the indicator with the price. Time limit - time limit for the EA operation. Hi, I bought your expert extended mt5 yesterday. I tested it and did optimization. Is working on 2 brokers (forextime and roboforex). Only last night when I installed it, he did some negotiating. Now you do not do anything else. It's normal? The best results were in h8 and h12.